Obesity (or being over-weight) has become a common urban problem these days. Two of the primary reasons for it are the sedentary lifestyle and the fast food culture that we have adopted. Most of us in the urban cities are living an inactive lifestyle, we are not doing enough physical activity. Most of us have desk jobs or jobs that are less energetic. Add to that the various labour-saving devices and gadgets that we use, we end up doing almost no physical labour. Seldom do we use the stairs, we go for the lift or the escalators, we no more do the walking or cycling, instead we are using cars and other modes of transport more regularly. In addition to that, most of us are spending a lot of time in front of our laptops or TV screens (couch potato syndrome). This lack of physical activity coupled with our poor eating and drinking habits is adding more weight to our bodies. Rather than eating the traditional foods like fruits, cereals, fish, meat and vegetables, that contain proteins, vitamins, minerals and other useful nutrients that are easy to digest and would provide us with sufficient energy, we are instead consuming processed junk foods, ready-made meals and packaged food which are laden with excess sugar, salts and artificial flavors that do more harm to our bodies than good. Similarly alcohol and the aerated, sugary drinks that we are regularly consuming, contain a lot of calories. Not only are we eating and drinking more than our body needs but we are also consuming unhealthy things. As a result, we are only adding fat to our bodies. Unfortunately, health issues too come along with this overweight problem. The more overweight one is, the more the risk it is to his health. One would feel tired, lethargic and would be lacking energy to do any physical work if he is over-weight. Even with the slightest of physical activity he may experience shortness of breath. He may also have difficulty in sleeping and so also may experience back and joint pains. In addition to that, obesity may also cause the development of potentially life-threatening illnesses like diabetes, high cholesterol, increased risk of getting a heart stroke, high blood pressure etc. Not just physical health problems but sometimes obesity also causes psychological problems in people because over-weight people are often teased by their peers (others can be so unkind at times). As a result, they feel inadequate and struggle with low self-esteem, which in severe cases, may ultimately lead to depression. So overweight people want to shed all excess fat. However instead of choosing to lose weight gradually, some people go for the crash diets (or the rapid weight loss programmes). In the hope of losing weight really fast in a short period of time, they radically restrict their calorie intake and live on "juice only" or "soup only" diet like cabbage soup Diet, grapefruit diet etc. However such crash diets are unsafe and unhealthy. They put a lot of stress on the body as it doesn't get all the nutrients it needs. So such diets will only make one feel weak. Additionally they can slow down one's metabolic rate. Blood sugar levels may also drop down drastically which would cause extreme food cravings in a person and he would binge on carbohydrates. That would in turn force insulin to store fat. Thus rather than burning fat, such crash diets will only store fat! Only by eating a healthy and balanced diet, coupled with regular physical activity can one lose weight. 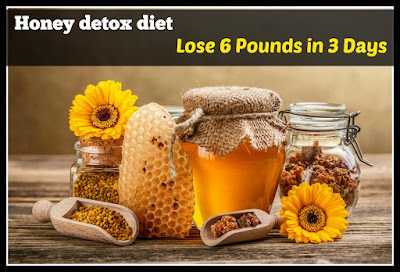 One can also follow Honey diet plan, it is one of the easiest and sustainable ways of losing weight and still does no harm to the body in the long run. To start with, one can take honey and lemon juice mixed with warm water on an empty stomach first thing in the morning. It not only cleanses the stomach but also helps in burning fat. Similarly taking about two tablespoons of honey mixed with warm water every night before going to sleep optimises the body fat metabolism. Because honey contains fructose and glucose in 1:1 ratio. 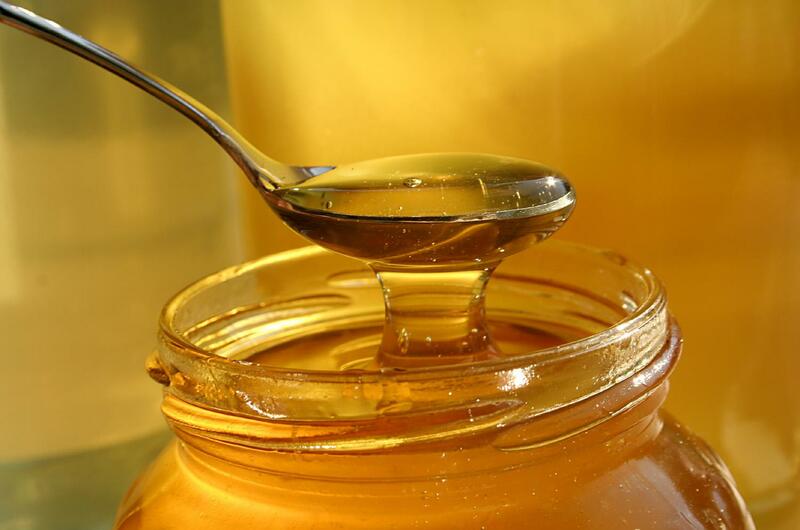 The fructose in the honey when goes into the liver gets converted into glucose and remains stored as liver glycogen. Thus body fat get burned more effectively. We can also replace our sugar intake with honey, as honey aids in better digestion. So one should cut out sugar from his diet and use honey instead even while preparing tea, coffee and breakfast. In addition to that, one has to skip all junk food and instead opt for unrefined carbohydrates and proteins, in order to derive the full benefits of the honey diet. One can find many easy diet recipes comprising of cereals, fruits and honey on the Dabur Honey website, prepared by Chef Vikash Khanna, which not only taste good but are also healthy. I have written the above post for "Honey Diet - A sweeter alternative" sponsored by Dabur Honey. One can go for Honey Diet to lose weight and yet remain healthy. You too may visit their website to know more.